Float cells at the Century zinc operation. Image: New Century Resources. 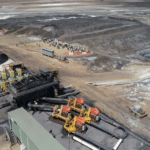 New Century Resources has strengthened a mining services relationship with Sedgman at the Century zinc operation in Queensland. 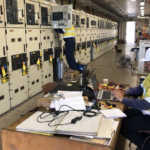 Sedgman has already been an important part of the restart project, with around 100 of its personnel on site executing refurbishment and commission works for the plant and port. 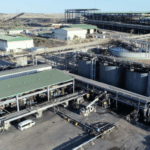 New Century has extended this relationship by awarding the CIMIC-owned company a five-year, $110 million contract to operate and maintain the Lawn Hill processing plant, concentrate pipeline and Karumba port facility. The Century mine restart is on track for operations to begin in the third quarter of 2018, with first production targeted in August. New Century managing director Patrick Walta said Sedgman had been an integral part of the company’s commitment to continually delivering milestones associated with the Century restart program. “We look forward to continuing this relationship during operations and ramp-up as we establish Century as a globally significant zinc producer,” Walta said. 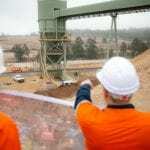 Sedgman managing director Grant Fraser said the contractor had first worked on the feasibility study, and then on refurbishment and reconfiguration, at the Century mine. “I’m pleased that we are building on this earlier involvement, and showcasing out full project life cycle delivery capability, by adding operation and maintenance services to our works at the site,” Fraser said. Sedgman provided the restart feasibility study for the Century mine, concentrate pipeline and Karumba port in 2017. The contractor subsequently launched engineering, procurement and construction works for the refurbishment of the plant and port, and provided services for operational readiness.